abuse in a dating relationship. 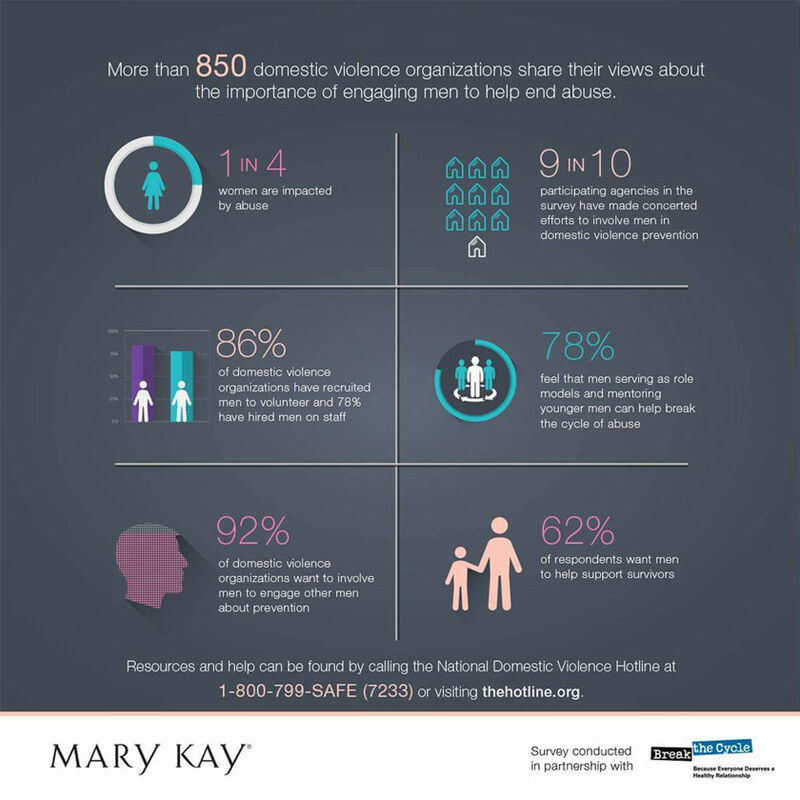 Mary Kay is committed to ending domestic violence. We strive to build awareness, partner with advocates to provide helpful tools and resources and educate the public on the domestic violence epidemic. 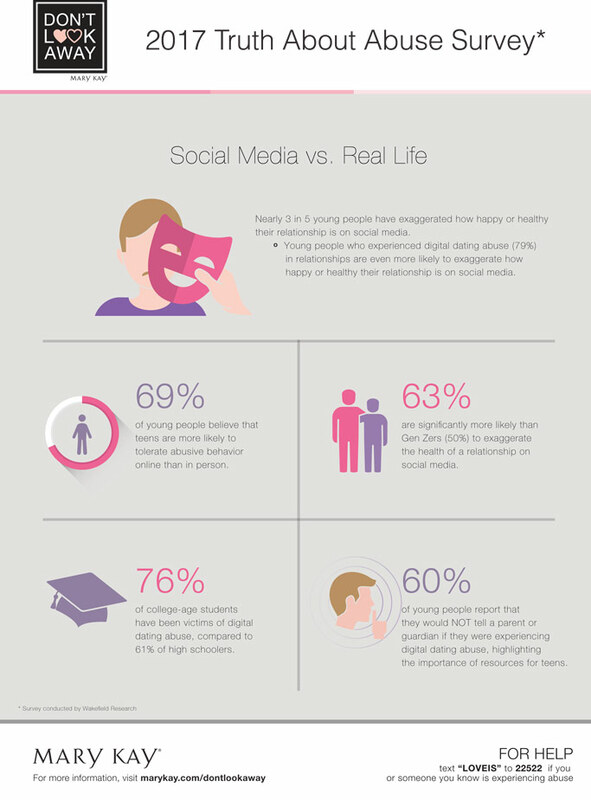 Studies show that one in three young people will experience abuse in a dating relationship. 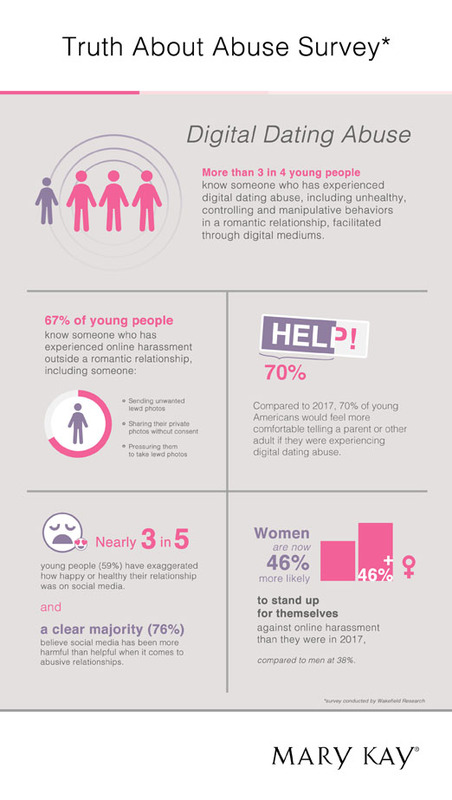 In support of young people, Mary Kay and loveisrespect are working together to provide resources and tools for healthy relationships. Learn the warning signs of an abusive relationship; the life you save may be your own. 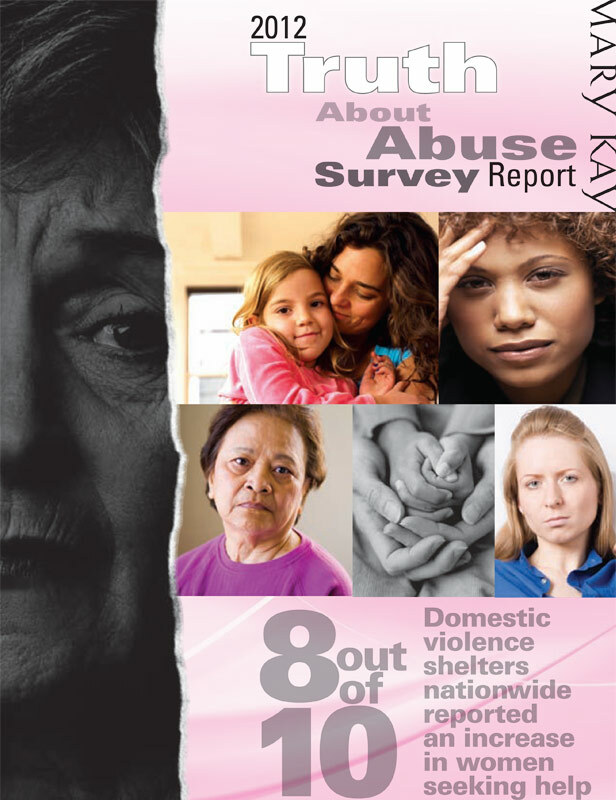 Did you know that one in four women in the United States will experience abuse in their lifetime? 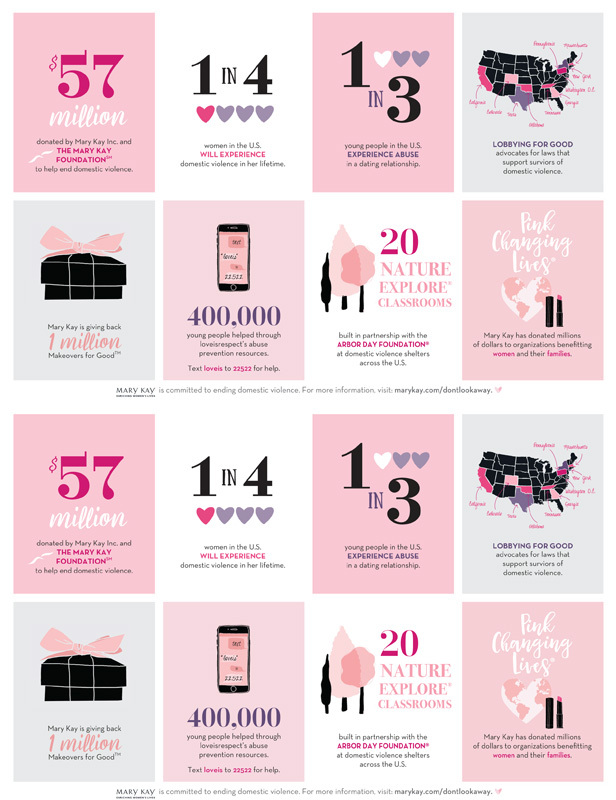 Mary Kay reveals the stories and faces behind this startling statistic in their latest One in Four video. Hear the individual stories of the brave women behind One in Four. 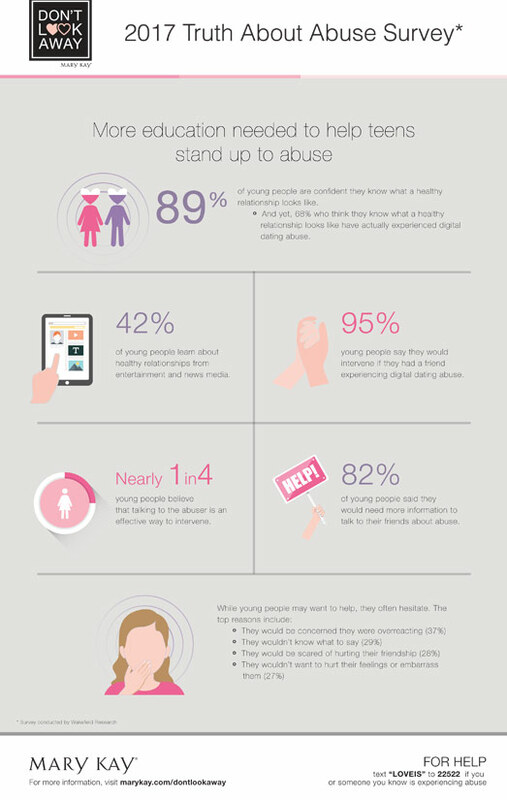 Increased awareness isn’t enough to stop abuse, but it’s a step in the right direction. 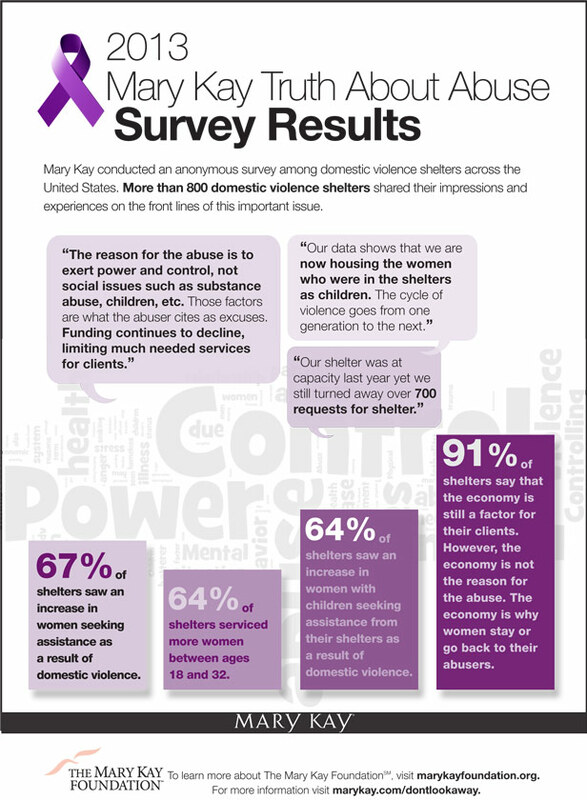 Mary Kay's Truth About Abuse survey reveals the truths, perceptions, and realities behind domestic violence statistics. Visit the Mary Kay Corporate Social Responsibility page to learn more about all of the initiatives and ways that Mary Kay is making the world a more beautiful place.